While supplies last. Limit 2 per person. 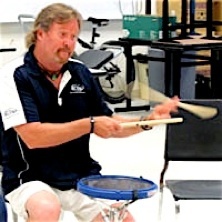 Click Here for Videos and Testimonials! 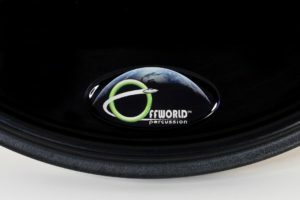 Offworld Percussion joined forces with the renown Blue Devils System Blue® and legendary marching percussion guru Scott Johnson to create a unique version of the INVADER™ V3. 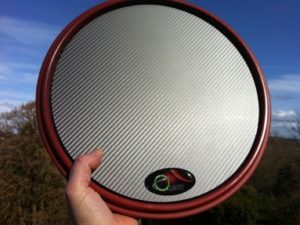 This pad is augmented with a slick Silver/Black authentic Carbon Fiber Oval (CFO) at the 12 o’clock position, designed for enhanced volume and articulation. 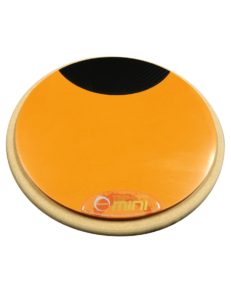 The main surface of the pad is a customized orange gum rubber, perfect for players who want to focus on practicing with active rebound. 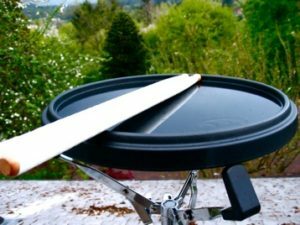 Even with its lively bounce, this surface has been designed to provide an audible articulation from the sound of the wood underneath. The black oval near the top of the pad is filled with OffWorld’s own signature Darkmatter. 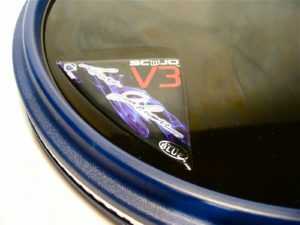 This surface closely resembles that of a modern marching snare drum, allowing rudimental players to practice on a harder, more articulate surface. 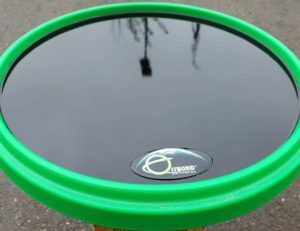 The pad also features a 360-degree stick-saving rim element. This high-impact, industrial strength nylon composite matrix is abrasion and weather-resistant. 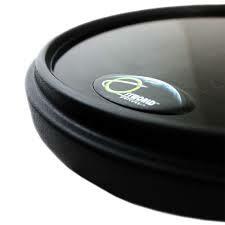 A non-slip foam base attaches underneath the pad and is actually one more extra soft playing surface. 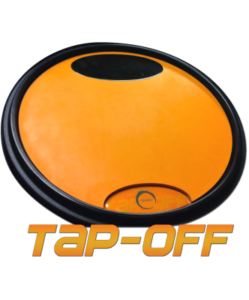 Also available is the Tap-Off Mini. Who says size doesn’t matter? Compared to the original Tap-Off, it’s over 30% smaller, and over 50% lighter. 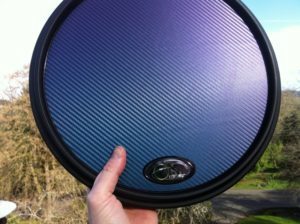 It’s ultra portable and surprisingly quiet compared to larger pads. 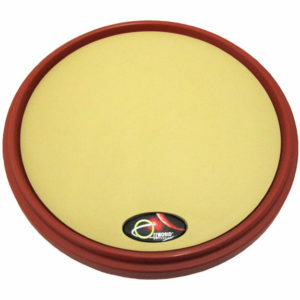 Underneath, there’s a non-slip foam base which can actually act as an extra soft playing surface.